This film offers a glimpse of the history of the largest room in the Townsend House, a designated District of Columbia Landmark, located along the grand boulevard of Massachusetts Avenue and known today as the Cosmos Club. Built in 1900 for Mary Scott Townsend, daughter of multimillionaire William Lawrence Scott, the Beaux-Arts mansion was designed by the notable New York architectural firm of Carrère and Hastings, and by Parisian architectural decorator Jules Allard and Sons. 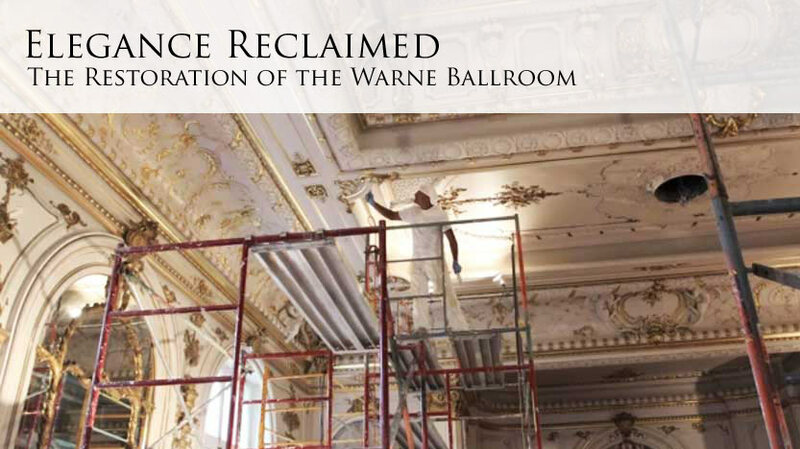 The story reveals an intimate sliver of the world of restoration, through the talent of American and French artisans who reclaimed the room’s original splendor. With more than one hundred years of residential and Club use, the room embodies layers of Washington history. Through the painstaking work of the craftsmen who created and who restored this place a century later, this room continues to retain an important role in the narrative of our nation’s capital.